To What Shall We Liken the Kingdom of God? This passage has three related parables: parables about seeds; about sowing, and growing, and harvesting. Of course, these parables are not ultimately about farming. They are about the kingdom of God. Jesus is using these parables to teach us something about the kingdom which he had come to announce. Last week we looked at this same passage, but our focus last week was on the purpose of parables, in general. We saw how Jesus explained the dual use of parables – that for some they serve to veil the truth and for others to reveal it. But today, we’ll focus more specifically on these three parables about seeds and look at what Jesus is telling us about the kingdom of God in these parables. Author: Rev. W. Reid Hankins, M.Div. 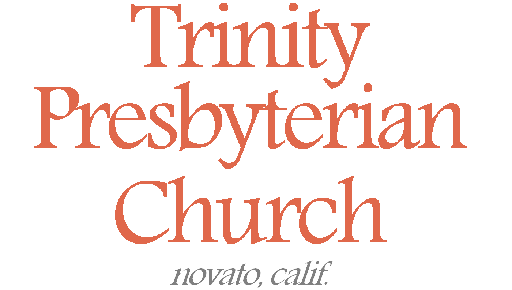 Sermon originally preached during the Morning Service at Trinity Presbyterian Church (OPC) on 04/27/2008 in Novato, CA. Click here for the manuscript. Adult Sunday School at Trinity Presbyterian Church (OPC) on 04/27/2008 in Novato, CA. Adult Sunday School at Trinity Presbyterian Church (OPC) on 04/20/2008 in Novato, CA. Adult Sunday School at Trinity Presbyterian Church (OPC) on 04/13/2008 in Novato, CA.